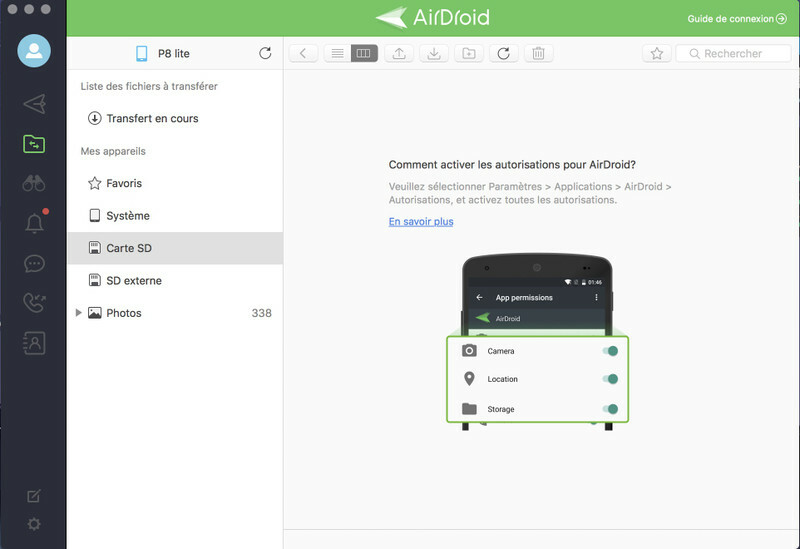 Besides transfer files with AirDroid Win/Mac, you can also transfer them via AirDroid Web, all without a USB cable. Select one or more files you want to download and click Download on the upper right corner, the files will be downloaded from the Android devices to the computer (saved in a zipped file if you select more than one file). Click Upload on the upper right corner, and choose the files or folders to upload. Select one or more files you want to delete and right-click, then click Delete and click OK to confirm. Or just click the Trash icon, and click OK to delete the files you selected. You can enter a keyword in the upper left corner of Files to search file. How to rename a file or folder? Select the file or folder you want to rename and right-click, then click Rename, enter the New name and click OK. Or just click the Rename icon to rename your file. 1. Upload folder is only supported by Chrome. 2. Manage files in extSD via AirDroid Web is not supported on Android 4.4+ as Google has restricted the access permission to it. However, Android 5.0 restored the functionality of SD card. 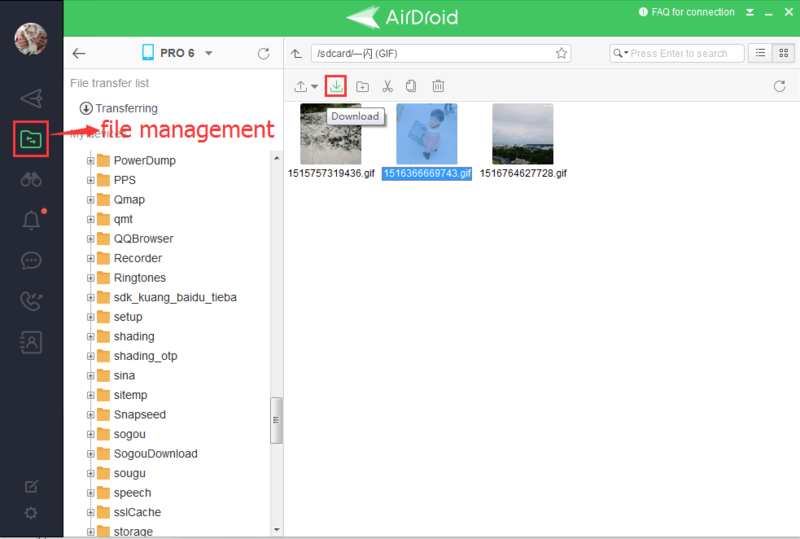 With AirDroid v3.1.5, you can manage files in external SD card with AirDroid Web again! 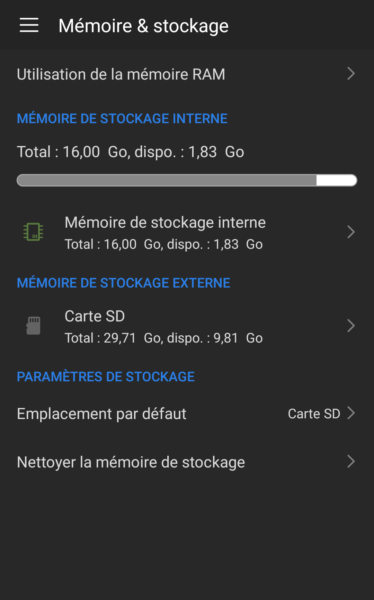 More info: [Help & FAQ] How to Manage Files Saved to External SD Card on Android 5.0+? Could you help me, please?! How do you restore files on the pc airdroid? Do you mean you cannot download the file on PC? The file you transfer from phone to PC will valid on your PC AirDroid for 7 days. If you download them after the validity, you can only transfer them again. I have a couple of questions on the SMS transfers First off I can not get my out going text to show up, have had that problem with every app that I have downloaded to use. Second I have the Samsung S6active, what file will my text messages be on and how would i go about getting some printed? Third, I am an idiot when it comes to this stuff so can you help me in a language that an idiot can understand, PLEASE? 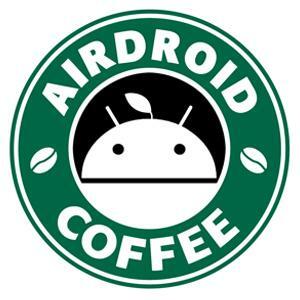 I am using Airdroid Web and can access all the features except file transfer. All permissions are allowed, still I have this "Permission denied" message. I tried deleting data, re-installing, checked SD card path… Can't make it work. Would you like to tell us more detail of the issue? Can you access the file transfer or can access but can't download and upload file? It would be helpful if you can send us a screenshot of the error page. 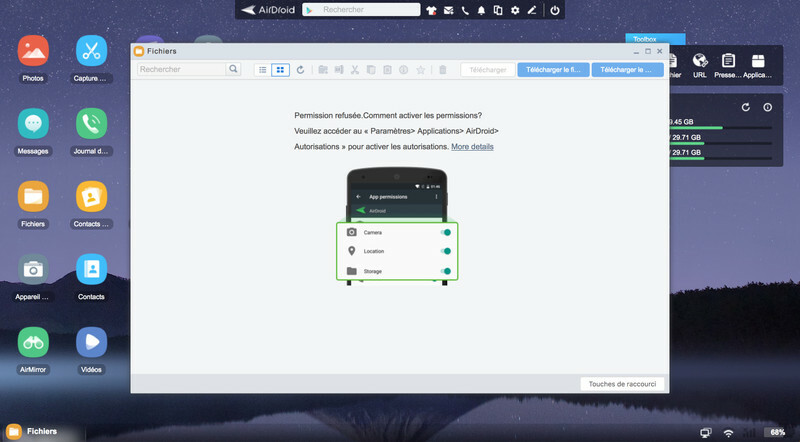 And would you like to use file management in the desktop AirDroid to see if it works? It actually works from desktop. Up and download. Can't figure out why, I see 2 SD cards, one internal and one external. I actually only have one, don't know why AD sees two. "Carte SD" is not permitted, while "External" is… I guess AD web cannot see this 2nd one. We would like to confirm with you that do you set the External SD Card or internal storage as the default location? If you set the SD card as the default location, you cannot use the file management feature in the web or desktop.